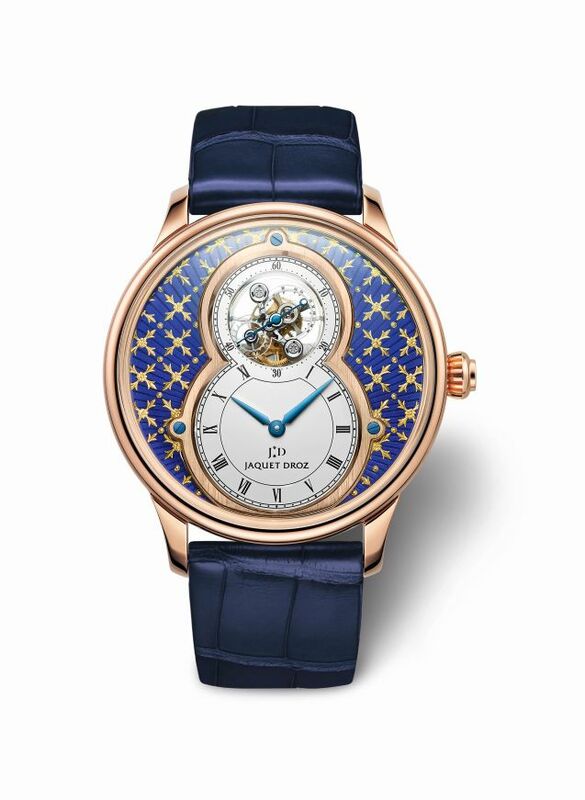 Jaquet Droz, a Swiss watchmaker well known for its exotic timepieces, launched its latest model Jaquet Droz Grande Seconde Tourbillon Paillonne limited to 8 pieces only. The case, in 18K red gold, measures 43mm x 13.1mm. It sports double sapphire crystals and it is water resistant to 30 meters. Movement is the Swiss automatic Jaquet Droz in-house Caliber Ref. 25JD with 31 jewels, 21,600 vph and a power reserve of 7 days. The rotor is finished in 18K red gold with a lapis lazuli applique. 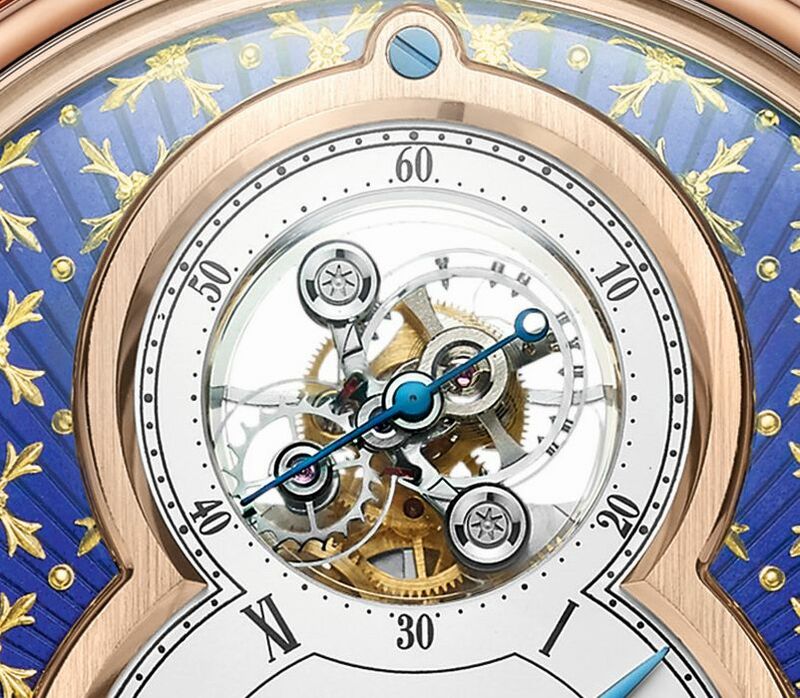 Functions are: hours and minutes at 6 o'clock, tourbillon frame and seconds at 12 o'clock. 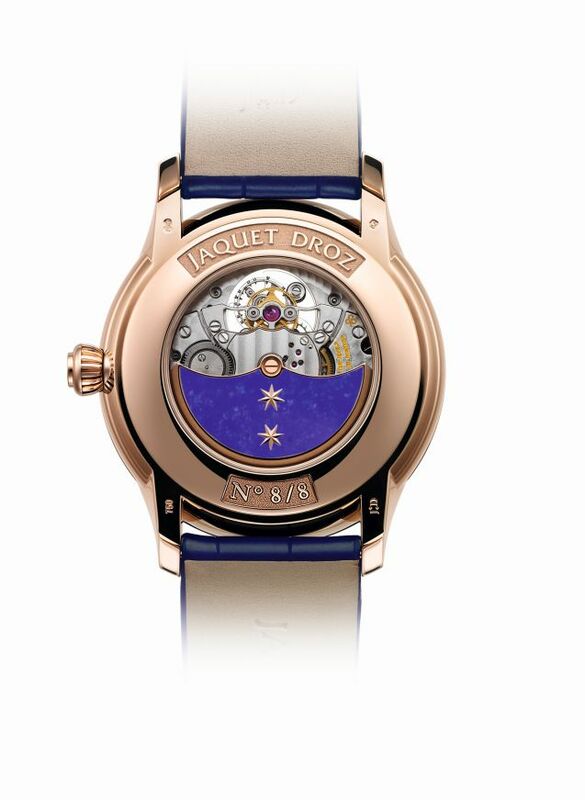 The dial, in blue Grand Feu enamel features an 18K red gold ring. Silvery opaline hours and minutes sub-dials with blued stainless steel hands. The art of paillonné enameling consists of meticulously positioning tiny paillons of gold, one by one, to create perfectly geometrical patterns on the colored enamel itself, and then setting the design under a coat of translucent enamel fondant. 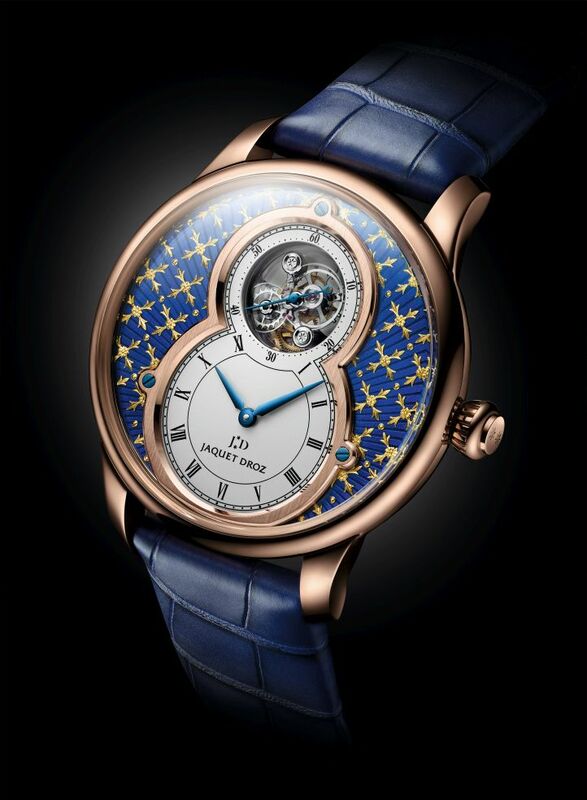 It comes on a rolled-edge hand-made dark blue alligator leather strap with an 18kt red gold folding clasp.